Add texture and dimension to your walls with this Layered Metal Cross Wall Decor. 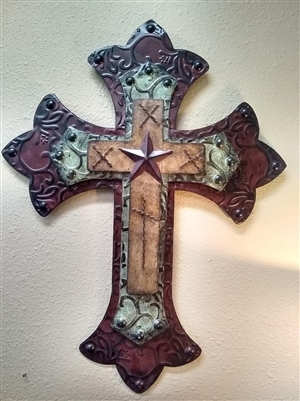 This beautiful layered cross features a Texas star center. 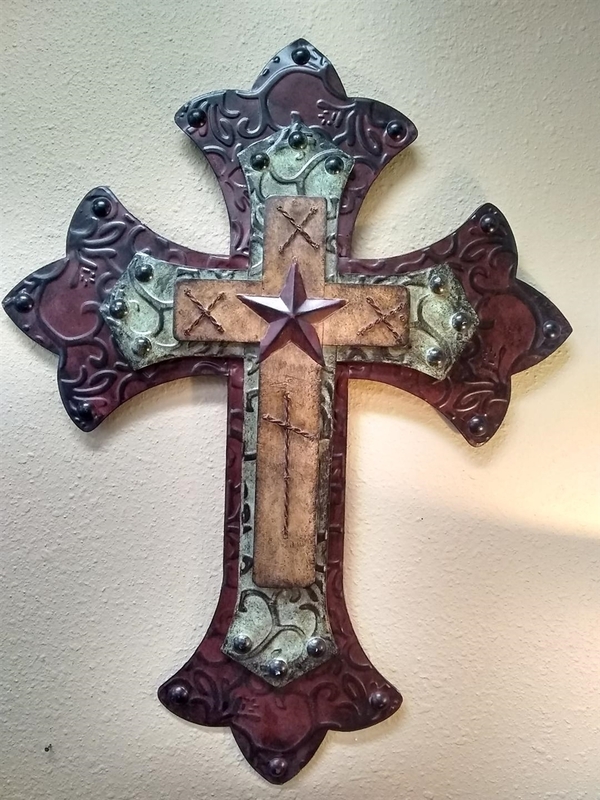 Enhance your Western, rustic, or country decor with a bit of unique faith-filled inspiration.